Coyote’s Guide to Connecting with Nature is like an ice-cubed drink of fresh-squeezed lemonade after a long, sun-blasted hike through the Nevada desert. So much of environmental and nature education has become a dry litany of facts, tragedies, disemboweled concepts, and fear-invoking problems — a spare and sad landscape. Instead, Coyote Mentoring is a playful bound up an oak-sheltered stream valley. Here, we splash along in ankle deep water discovering the old ways of catching frogs, crafting mud pies, making small worlds in the moss-covered banks. This is nature education as it should be  mysterious, timeless, hopeful, evocative and playful. ~ David Sobel, author of Beyond Ecophobia: Reclaiming the Heart in Nature Education, and Director of Teacher Education at Antioch University New England. Until now, Wilderness Awareness School and its affiliates have passed on teachings about The Art of Mentoring and Coyote Teaching only through experiential workshops. Yet, from my desk at the center of the school’s office, I keep hearing the insistent pleas of countless amazing mentors out there who aren’t able to get here for a program, have students just waiting to get started, and want our blueprint for design and construction of a profound learning experience. You’ve started a weekend year-round program for families in Massachusetts. You lead an after-school outdoor club of teens in Indiana. You run a summer canoeing camp in Alberta. You’re networking trackers from the Netherlands to Romania. You coordinate rites-of-passage journeys for adults in New Mexico. You’re a wildlife biologist educating your public. You’re a team of teachers Nature-Mapping your region. You’re facilitating a permaculture community. You’re honing your nature skills on your own. You mentor your grandchildren who want to play outside. You homeschool your kids who love nature. You’re an environmental education graduate looking for a job that uses your gifts and fulfills your calling. You feel deeply the value of direct experience with nature in your own life and want to transmit it to others. Some of you were fortunate to grow up free to roam and hunt and fish and build tree houses in the wild places near your home with parents and mentors who encouraged you – and you want to pass on the tradition. More of you are members of the first generation that didn’t have that privilege – and you want to resurrect the tradition. Parents, teachers, counselors, guides, and mentors, all who find this book in your hand, Jon, Evan, and I have written it for you. We want you to be confident that Coyote’s Guide can be adapted to work wherever you are, in situations as diverse as we can imagine. Because the methods suggested in this book have been field-tested for decades – in truth, for thousands of years – this guide should become an essential resource for anyone who wants to revive their sense of kinship with nature but needs some help. This is good medicine for nature-deficit disorder. ~ Richard Louv, author of the national bestseller Last Child in the Woods: Saving Our Children from Nature Deficit Disorder, 2008 Audubon Medal recipient, and chairman of the Children and Nature Network. A long, long time ago, maybe two hundred thousand years ago, and in a few places still today, the native people who lived off their land schooled their children – but they did it invisibly. Our ancestors’ children didn’t go to school. School surrounded them. Nature was a living teacher. There were many relatives for every child and every relative was a mentor. Stories filled the air, games and laughter filled the days, and ceremonies of gratitude filled mundane lives. This Guide passes on this method of invisible schooling, so that people will connect with nature without knowing it. They'll soak up the language of plants and animals as naturally as any of us learned our native language. Do you remember learning to talk? Probably not. Spoken language happened around you all the time, and allowed you to experiment with words, make mistakes, and every single day grow vocabulary. Mentoring with the language of nature happens just the same. With stories, games, songs, place-names, animal names, and more, you invisibly and subtly stretch your students’ language edges. The invisible school of nature proves to be more than just effective, it is also fun, healing, and empowering. Like the Coyote whose methods at first seem unorthodox or even foolish, in the end, it works better than anyone could dream. What you hold in your hand is a multi-faceted, balanced jewel of a program that brings together undying wisdom of the ages in a contemporary and usable format...As former co-leader of an urban high school outdoor program, I see “Coyote’s Guide” as a gem of a reference for all outdoor educators. How is this curriculum guide organized? It’s a field guide and a cookbook, made of a Mentor’s Manual and an Activities Guide. Shifting Routines and Core Routines of Nature Connection explain the practices that learners do. Repeating these invisibly and visibly all the time, in every way and in every situation, develops good habits for connecting with nature. Child Passions as Teaching Tools, Questioning and Answering, Storytelling, and Music Making highlight the universal instincts that children and playful adults possess, and show how to use these as doorways through which Core Routines and knowledge of natural history may enter the lives of "children from 1 to 100," that is, everyone. Book of Nature points to the most fertile places to start when connecting people with natural history. It narrows down the infinite possibilities by emphasizing meaningful relationships. Natural Cycle and Learning and Teaching Cycles convey a vision of how energies move through a day, a week, or a lifetime, giving you a feel for the rhythm that allows you both to plan and improvise for success. Indicators of Awareness paints a handful of universal character traits fostered through connecting with nature. They describe the goals of Coyote Mentoring in terms of personal growth that emerges naturally through practicing these routines and activities. Activities begin with a Primer Story, provide a brief How-To, take you Inside the Mind of the Mentor, and expand into Alternatives and Extensions. Each activity cross-references to the Mentor’s Manual. As you choose activities for your lesson plan, consider which Core Routines to practice through the activity, which Child Passions to tap into, which parts of the Book of Nature could be emphasized, where the activity fits in the Natural Cycle, and which Indicators of Awareness you want to cultivate. This interweaving allows you to create, adapt, or otherwise "cook" your own activities in your own local ecosystem. The nature activities in Coyote’s Guide are fantastic; I cannot wait to try them. This book has the power to change lives. I highly recommend it for anyone who wants to share nature with children and adults. ~ Joseph Cornell, author of the international bestseller, Sharing Nature with Children, internationally renowned educator, and founder of the Sharing Nature Foundation. Parents, teachers, counselors, guides, and mentors, this book is written for you. It provides a blueprint for you to easily design an amazing learning experience that fits your people and your place. 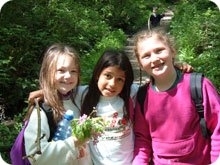 Coyote Mentoring is the ancient, worldwide legacy of hunter-gatherer cultures who surrounded their children with “Invisible Schooling.” This way of teaching will hone students’ senses and connect their imagination to the natural world. This Mentor’s Manual and Activities Guide is Coyote’s Guide because it speaks with a magical voice and issues a challenging invitation to improvise and mentor with a sparkle in the eye. 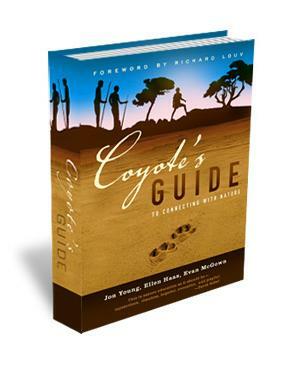 With this book, Jon Young unveils the mentoring principles that underlie his classic works, Seeing Through Native Eyes and Kamana Naturalist Training Program, and finishes it off with an Afterword that puts Coyote in Context. The principles in this book are already at the heart of a vibrant educational movement that is spreading worldwide. 134 Affiliated learning communities and wilderness schools are listed. Join us! A huge bibliography of print and audio-visual resources, compiled by friends from all regions, offers something to fit your needs in the fields of Environmental Education, Primitive Skills, Field Identification, Natural History, Science, and Literature. Keyed, tabbed, illustrated, and glossy, just like a field guide. 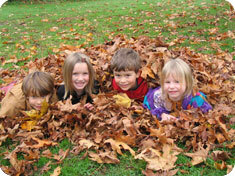 Leaves “No Child Inside.” Shifts our indoor Routines of Awareness outdoors. Develops in-depth 13 essential Core Routines for Nature Connection. Tells the Adrenaline Secret: Shows how to use Games, Questioning, Storytelling, and Music-Making to fire up the passion for learning. Aims for Meaningful Relationships with 8 species-groups of the Book of Nature: Hazards, Catchables, Trackables, Edibles,..and more! Orients you to the Natural Cycle as you design your learning experience from Inspiration to Perspiration to Celebration to Integration…and round again. The developed world we live in largely ignores the need for connection with nature. Many factors contribute to the trend that Richard Louv so compellingly describes as “nature deficit disorder.” The terrain of childhood is dominated more and more by indoor focus and technology. Fears of strangers and dangers keep children tightly supervised. Growing population replaces wilderness with houses and roads. Growing emphasis on test scores and schedules keeps kids busy in structured activities. These things each have value. 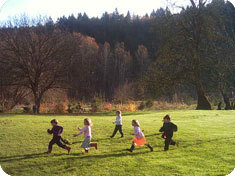 But collectively they result in no time left for children to bond with nature. Not only do kids get the short-end of the developmental stick, but the natural world has fewer people who know and love it, fewer adults who have nature built into their habits of awareness, and therefore fewer humans who care to be good tenders of their habitat. Playful, meaningful connection with the wild world outdoors needs to be a fundamental ingredient of every childhood. We cannot let it invisibly slip away. We must consciously choose it for our children. We’ve never needed to more than now. Coyote’s Guide is the Manual for the No Child Left Inside movement that can turn the tide. It responds to an urgent need of parents, teachers, counselors and guides for practical help in reconnecting their kids to the natural world. Why is this Coyote’s Guide? This is Coyote’s Guide because it entices us off the beaten path, to experiment with creative approaches, to do something different from what's generally being tried. Coyote goads us to have a true sense of play and abandon,—teasing us out of our usual routines to connect in an intimate and meaningful way with the natural world and our natural selves. We use a radical approach without textbooks or tests, engaging people in direct experience with the plants and animals just beyond the edge of their back yards. This book hopes to inspire you and coach you, the nature mentoring guide, into stretching your own creativity. Guiding like Coyote requires that you get to know the people you mentor. You have to watch carefully for what will capture their curiosity, engage their natural gifts, and challenge them in ways they can handle in their personal learning journey. Look for their edges: the edge of their comfort zone, the edge of their awareness, the edge of their knowledge, the edge of their experience. Then, you can stretch and pull them to a new edge, and then another, deeper and deeper into a sense of comfort and kinship with the wildness of the natural world. Finally, Coyote’s Guide encourages you to straddle both the human-made world with its vast scientific vocabulary and technology, and the instinctive, imagination-based world of our ancestors. Both worlds offer rich, educational potential. As Coyote Mentors, you will tap into zoology and botany textbooks, field guides, the scientific method, child development theories, and wildlife videos. Yet you will also explore the ancient cultural wisdom from around the world, its mythic animal stories, nature-based ceremonies, and tools for survival. ~ Peter Bettmann-Kerson, naturalist, mentor, and camp director at Farm & Wilderness Summer Camps, Plymouth, VT.
What a delightful and amazing resource for those who counsel children and their families! This workbook is fascinatingly rich in theory and practice when it comes to fostering the relationship that exists between children and nature; a link which is vital in terms of prevention and intervention in child and adult mental health. I look forward to integrating specific concepts of this guide into the child and family therapy process.